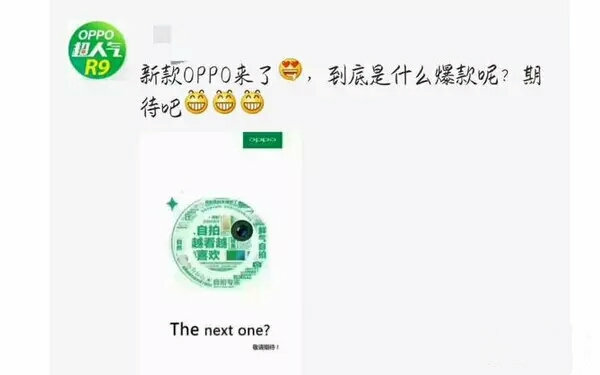 If you recall, there have already been reports that Oppo is working on a successor to its R9 smartphone. Dubbed R9S, the device is said to be coming sometime later this year. Now, a new teaser alleged to be of the handset has been spotted online. The teaser image – which just says “The next one?” – indicates that the highlight of the R9S will be its camera, as is the case with the R9 which comes with 16MP front shooter and 13MP main unit. As for specs, rumors say the device will be powered by Snapdragon 625 chipset, and will also feature the Super VOOC charging tech the Chinese company announced earlier this year. Reports also say the R9S has already entered production.